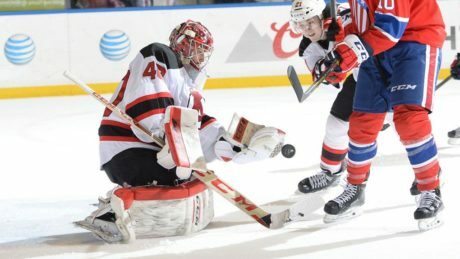 A three-goal third period propelled the second-place Devils to a 4-3 victory against the third-place Comets Saturday in front of 5,528 fans at Times Union Center. 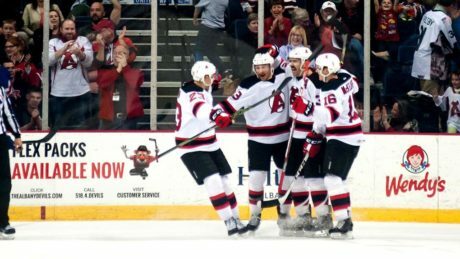 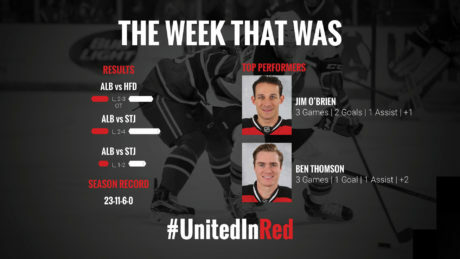 Amidst a wave of personnel changes, the Devils did not get the results they were hoping for last week. 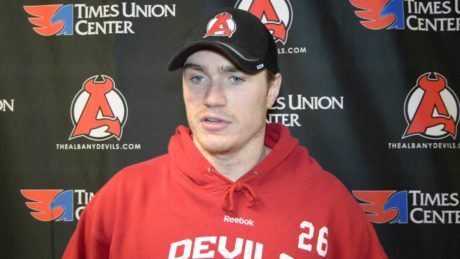 Hear from Ben Thomson, who had two goals, after the Devils 3-2 overtime loss. 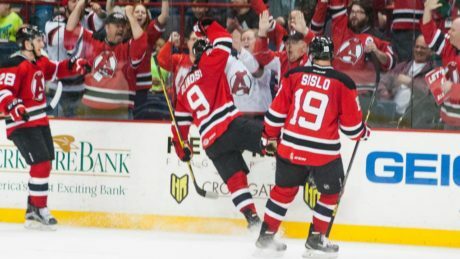 Joseph Blandisi finds Ben Thomson, who finishes for his first goal of the season. 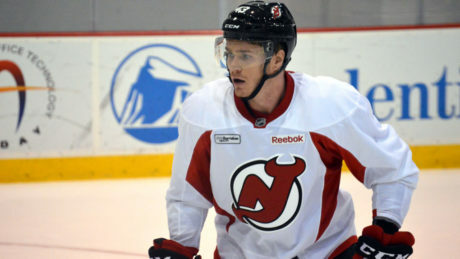 We caught up with Reid Boucher, Raman Hrabarenka, Matt Lorito, Reece Scarlett, Ben Thomson at the 2015 New Jersey Devils Development Camp. 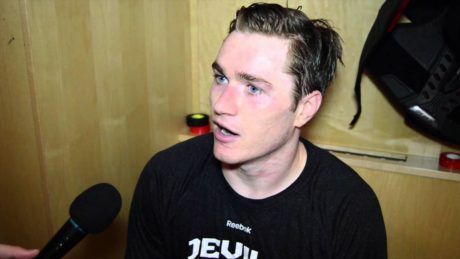 Coming off his first professional season, Ben Thomson is gearing up for the 2015-16 campaign. 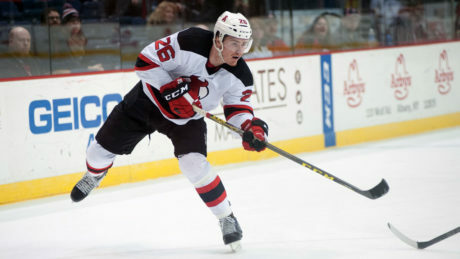 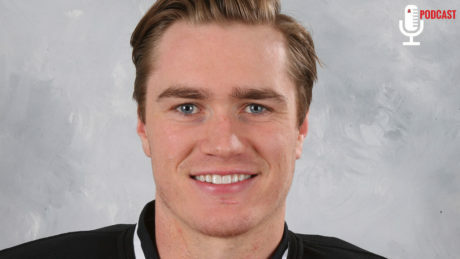 With Albany last year, he registered 16 points (8g-8a) in 67 contests.